Come to Color Town with your favorite throw pillow, a painting, or that special something, and we’ll help you match, co-ordinate or compliment a color! Green is our favorite color! Color Town knows that the environment is important to you and it’s important to us as well. We have over 6000 paint chips to choose from and we know that choosing the right colors for any space isn’t easy. Our friendly color consultants are always available to offer color suggestions or give paint advice in the store. Better choices, unmatched expertise and service, and lasting relationships... now that’s a colorful future! 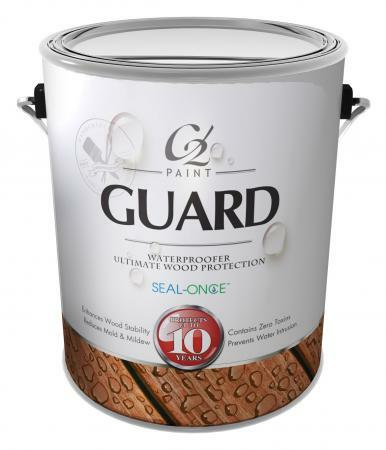 Long-lasting C2 Guard seals and protects against water, mold, mildew and UV damage for up to 10 years with no VOC's, toxins or irritants. C2 Guard absorbs deeply into the substrate, forming a flexible polymer becoming part of the inner structure. Suitable for all exterior wood, exotic wood, composite, concrete, brick and masonry surfaces. C2 Guard... The Water Stops Here! Vermont Natural Coatings now available at Color Town... Read More! Stay up to date with all things Color Town! Sign up for our newsletter today!